Just as most of us can remember exactly where we were and what we were doing when the planes flew into the Twin Towers in New York City in 2001, we can likely clearly remember the shock and horror we felt when watching Al Gore’s 2006 documentary, An Inconvenient Truth. That film – which went on to become the 10th highest grossing documentary film ever in the U.S. – made true believers out of many. An entire generation of global warming alarmists was born. The world as we knew it was changed forever. Never mind that actual scientists slated the film’s many scientific inaccuracies. 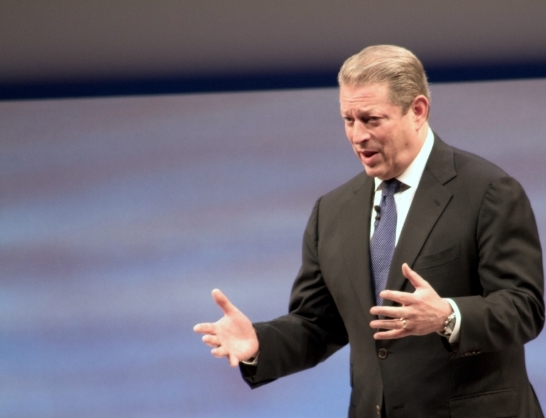 The conviction just radiated from Al Gore, convincing many that he truly believed every word. But, did he? He can certainly talk the talk, but has he been walking the walk for the past decade? After the unexpected acclaim that followed the release of An Inconvenient Truth, a little inconvenient truth was pointed out to Gore himself: In 2007, his home was running through 20 times more electricity than the average American household. The Daily Caller reports that Gore immediately went full publicity stunt, promising to change his ways and spending a quarter of a million dollars on a “green facelift.” The procedure involved installing 33 solar panels, upgrading his home’s windows and ductwork, replacing insulation, and changing his old incandescent light bulbs to energy saving fluorescent models, among other changes. That should surely have done the trick and cut his energy consumption dramatically, right? Wrong. A decade later his energy consumption is, in fact, higher than ever. A recent report by the National Center for Public Policy Research has revealed that even after all those changes, Gore’s home now uses 34 times more energy than the national average. His greedy consumption is so bad, that he blew through more energy in the last year than a “normal” American family would use in 21 years! His home burned through 230,889 kilowatt hours (kWh) of energy in that year, compared to the national average of 10,812 kWh. Just the heating of his pool uses more energy in a year than it would take to run six average homes. Gore explains all this away by saying he contributes to Green Power Switch, where donors get their electrical sins washed clean by giving money to support green energy programs. He donates a measly $432 a month to that scheme. His monthly energy bill is $1,800. And this problem of so-called “eco-warriors” telling lies and not walking the walk is by no means isolated to Al Gore. What about that other favorite of the global warming hysterics, Leonardo DiCaprio? The U.K.’s Daily Mail pointed out back in 2014, that while he goes around lecturing the world (including the United Nations) about climate change, and has become famous for riding his bike around New York and driving an eco-friendly Toyota Prius, he flies all over the place on a private jet, meaning his carbon footprint is immense. He also maintains (and powers) four homes, and in 2014, rented the world’s 5th largest yacht from an oil tycoon for a lavish vacation. The inconvenient truth is this: If the card-carrying members of the global warming movement, like Al Gore and Leonardo DiCaprio, are living it up and using way more electricity than the rest of us, why should we believe a word they say about catastrophic man-made global warming? They clearly don’t really believe it themselves.